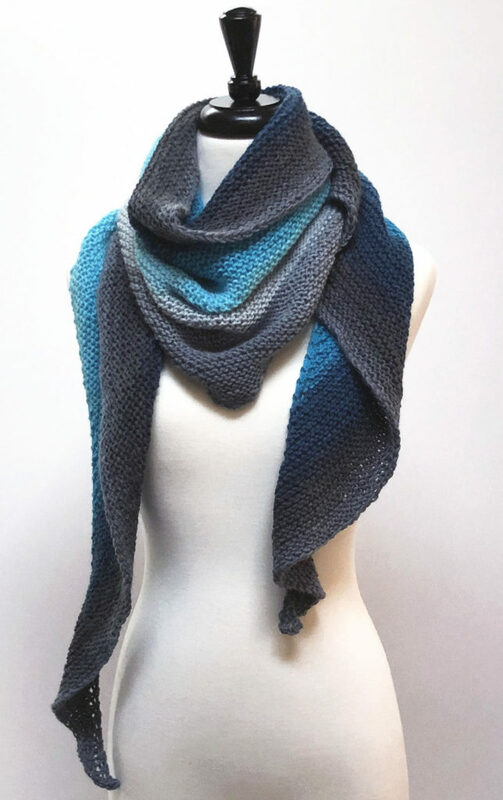 After posting the free knitting pattern for the MaryMary Shawl, it occurred to me that, while it is a fairly easy shawl to make, I wanted to offer one that is easier and faster, more beginner friendly. 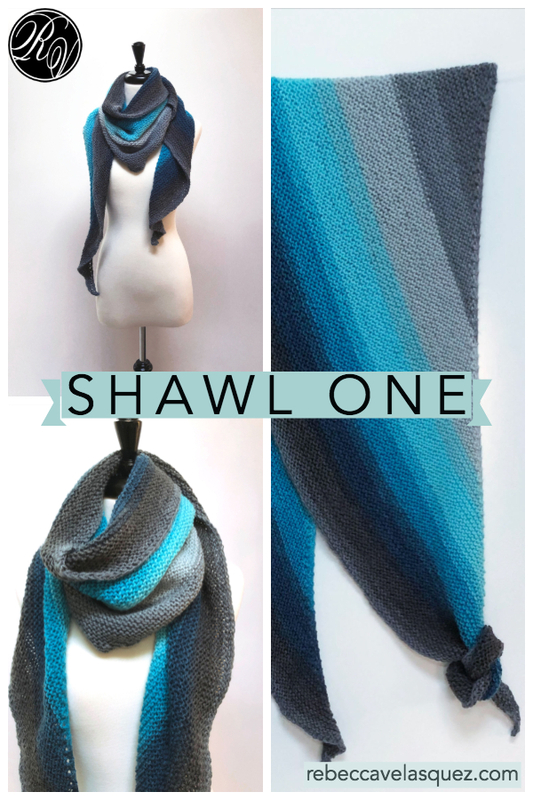 Shawls are such a great gift to give. 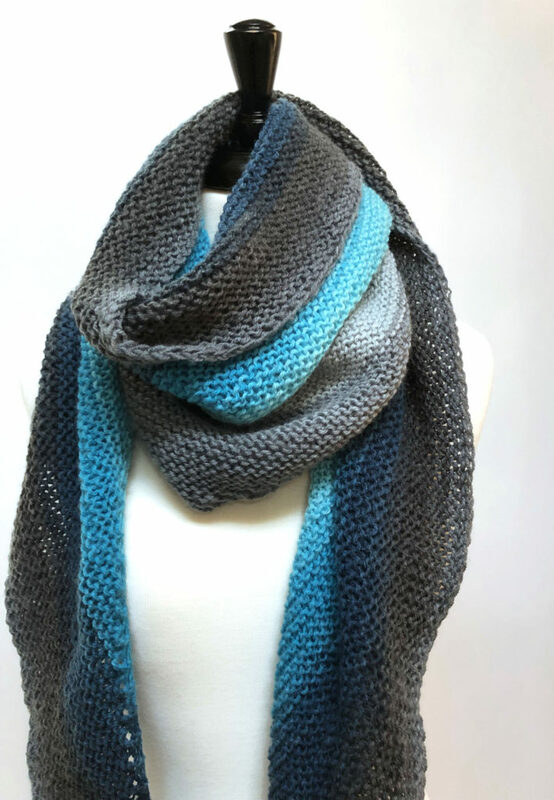 They contain love in every stitch while providing a stylish warmth the recipient can wrap themselves in year after year. 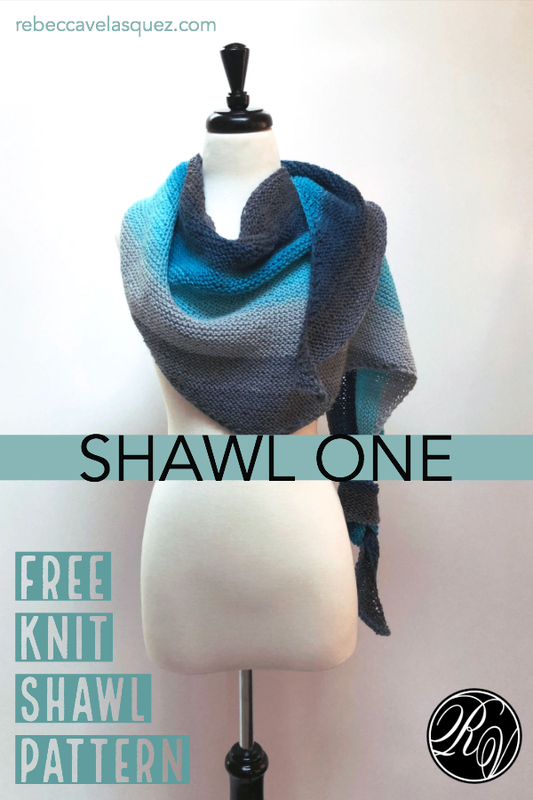 This shawl is very easy and pretty quick. Fantastically transportable. I’ve chosen LionBrand’s Mandala yarn for the sample because the color changes built into the yarn add visual interest and oh-so-cute factor without any additional work. But, I encourage you to use any yarn in any weight and color you’d like. Honestly, oooooh, I just had a thought!! this would be a fantastic scrap project! SHOW IT OFF! 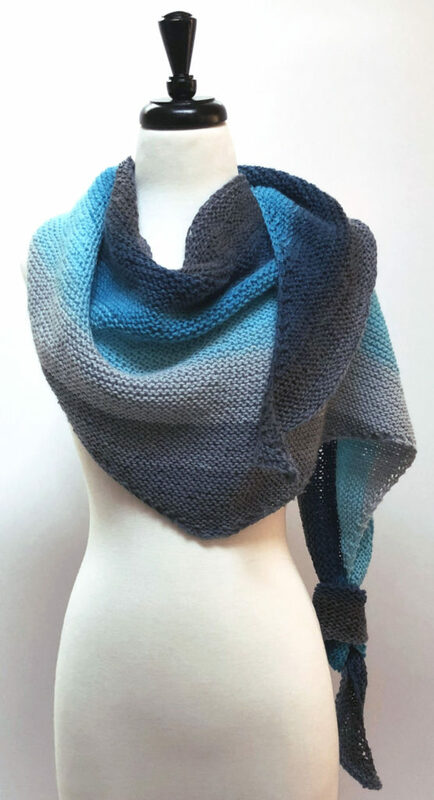 Tag @RV.designs and use this hashtag to share your progress and awesome new shawl. Important Note: The slider bar above is an affiliate link to Amazon. If you click this link and make a purchase, I receive a teeny ‘referral’ fee. • Did you know, you don’t have to buy what I’m linking to? Once you reach Amazon, you can buy anything from wooden spoons, to sunscreen or laundry soap, it doesn’t matter- everything counts! 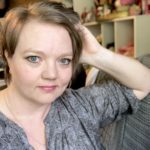 Consider clicking back here before your next Amazon order to support this blog so I can continue to offer free patterns. Truly, every little bit counts, and I thank you. Shawl is made from center point to tips. Stitched back and forth, in rows. 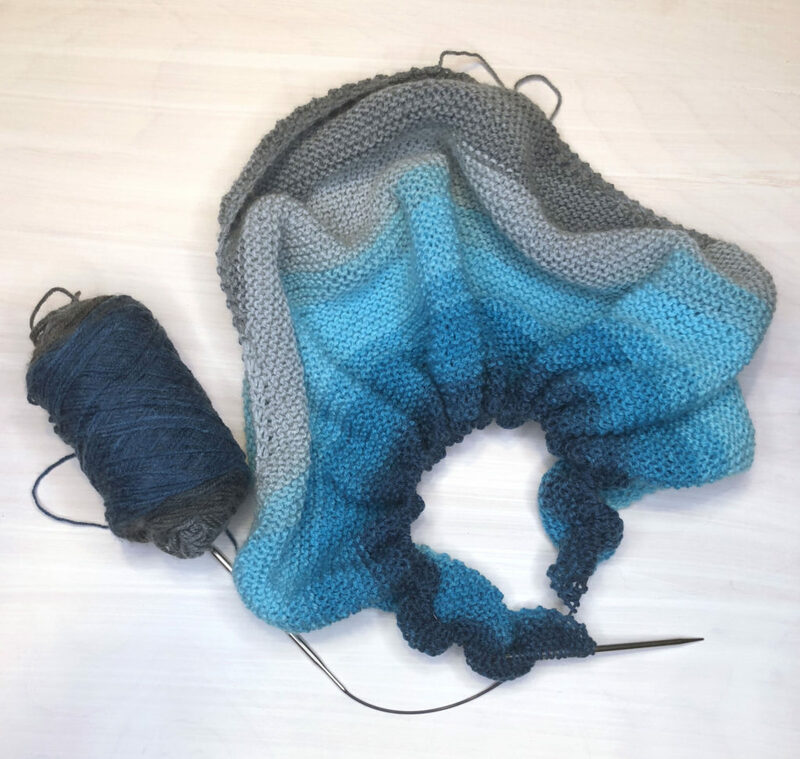 Optional: For a tidy edge, slip the first stitch of every row knitwise rather than knitting the stitch . K2, yo, k across until 2 sts remain, yo, k to end. Continue in pattern repeat until approx 45yds [42 m] remain, or size desired. Bind off using the stretchy method of your choice. 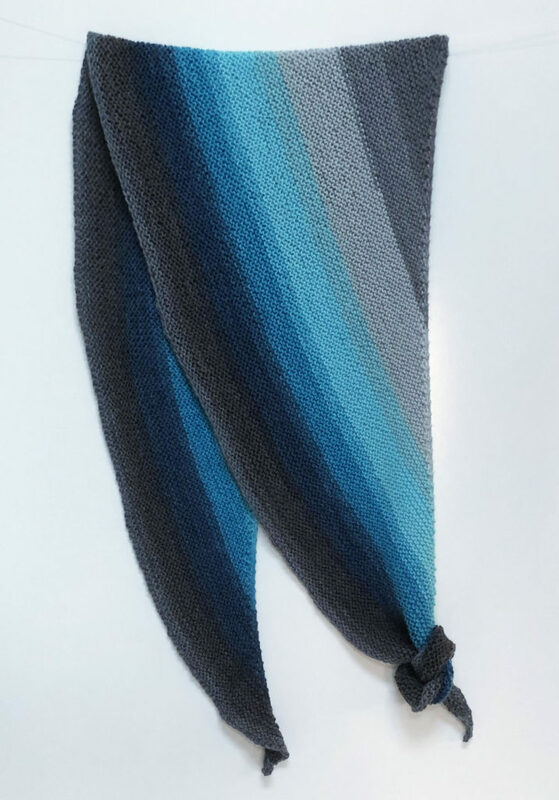 As this shawl is a generous length and I did not want to interfere with the wonderful squish factor of the garter stitch, I did not block this piece.